View More In Serveware - Page 2. 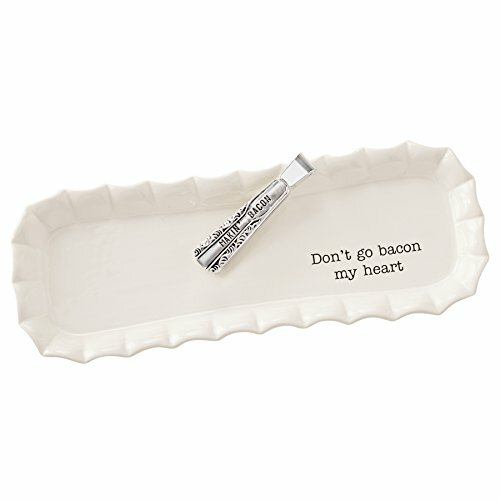 Ceramic bacon tray features ruffle fluted rim and resist "don't go bacon My heart" sentiment. Arrives with vintage-style "making bacon" stamped silver plate tongs. Layer with large brunching' tray for additional service option.